If it takes a village to raise a child, it easily takes a town to feed the world. At least that’s the philosophy of Hormel Foods, which believes a great many partners and associates make it possible for the company to do what it has done so well for 128 years. Enter the Hometown Hero award, a distinction rolled out Jan. 29 at this year’s Hormel Foods Annual Meeting of Stockholders. 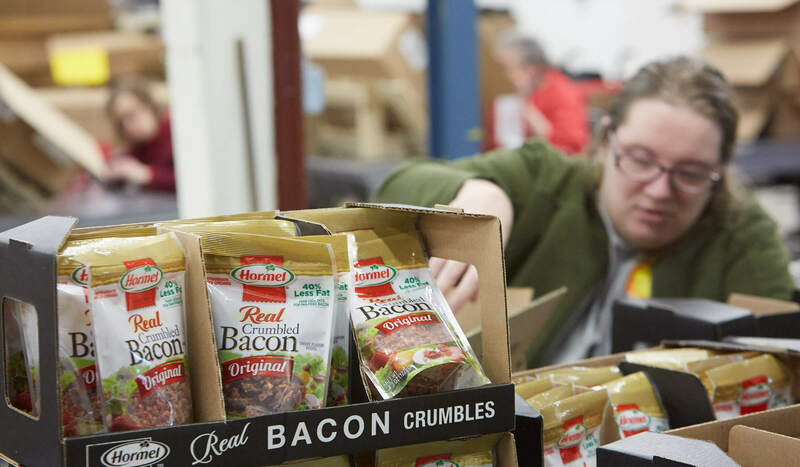 The honor is designed to recognize the people and organizations throughout the Hormel Foods family that contribute to its success on myriad levels. The award comes with a monetary contribution as well. From the company’s home base in Austin, Minn., one doesn’t have to look far to find Cedar Valley Services, the first recipient of the award at the company’s headquarters. The nearly 60-year-old Cedar Valley Services has worked side by side with Hormel Foods for decades, helping with the likes of product packaging, in-store displays and appropriately enough, the filling of the wildly popular gift boxes that have become a time-honored tradition at the Annual Meeting. Headquartered in Austin, the organization employs people – called consumers – who are differently abled, often preparing them for eventual employment in the general working sector. Cedar Valley is truly a very special place where lives are changed. 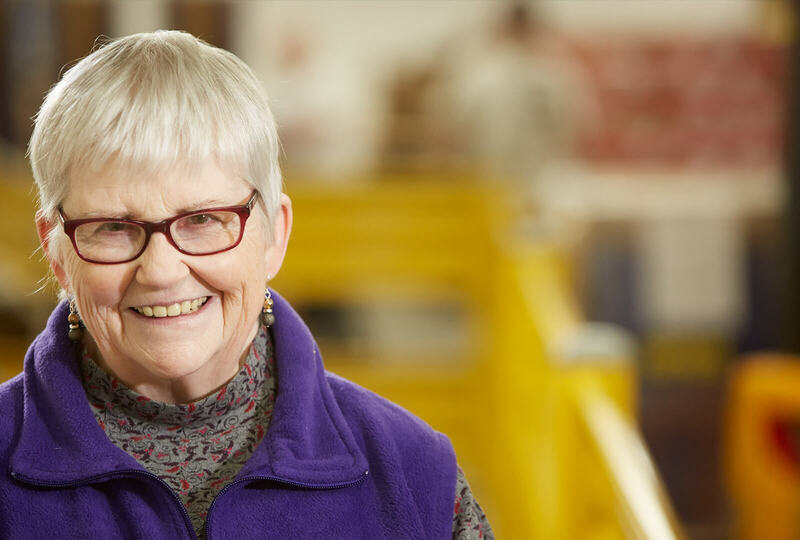 Joan Morgan is a 20-year consumer of Cedar Valley Services, her “second family.” She was born with a mild form of Noonan syndrome, she explained, a genetic anomaly that involves short stature, developmental delays, heart defects and other physical challenges. She also had two knee replacements of late. Morgan recounted a time before joining Cedar Valley Services. She “was in a dark place,” she said, with “no hopes, no dreams.” That’s no longer the case by a longshot. “After I started with Cedar Valley, I said, ‘I can do this!’” she said, adding she has made friends, become more assertive, learned new skills and above all, has a reason to get up in the morning. Morgan’s story is similar to Elmer Ferguson’s, who came to Cedar Valley Services in 1991 at the age of 18. Ferguson realizes the important part his job plays in keeping him active and focused on the positive things in his life. He likewise recognizes the benefits of being based in Austin, the town that has been home to Hormel Foods since day one. But, indeed, there is an Austin. It’s a small Midwestern town where a big company works as if it weren’t a global corporation, valuing relationships, reaching out to lend a hand and understanding we’re all in this together. McColloch gets it, so much so, Monday is his favorite day of the week.